Henry Ford’s prediction from 1940 is finally coming true – “Mark my words: A combination airplane and motor car is coming. You may smile, but it will come.” While not yet commercially available, it does appear that the day of the combination airplane/car is on the horizon. Wouldn’t it be nice if your car would convert to a plane at the touch of a button? While this sounds like something from science fiction, or a James Bond movie, there are a number of different companies working on perfecting flying cars. 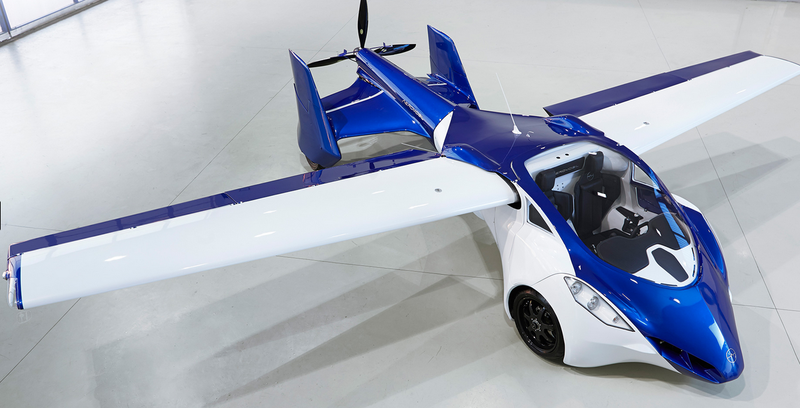 The latest prototype flying car from AeroMobil, located in Slovakia, was recently shown at a technology conference in Vienna. The new model has a flight travel range of 430 miles and a top groundspeed of 124 mph. In car mode, it fits into a standard parking space or garage, uses regular gasoline, and can be driven on the road, just like any other automobile. And, as an airplane, it can use any airport in the world, needing only a few hundred meters of surface for a runway. The newest version has been in regular flight-testing in real flight conditions since October 2014. No word on commercialization date of the car/plane or whether there is already a waiting list. Divide students into teams. Have each team quickly research the companies that are working on flying cars. Have teams develop a customer profile for the flying cars: demographics, psychographics, attitudes, lifestyle, etc. Develop a marketing plan for AeroMobil using at least three different promotional tactics, including one social media execution.